Laptop DC power jack repair in Davenport, FL., is a service provided by PCMechanic Computer Repair. Power is distributed to your motherboard via the DC power jack from the AC adapter. 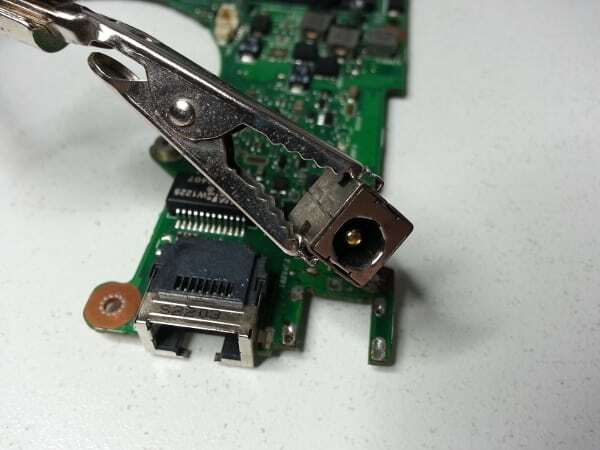 This type of laptop DC power jack is soldered directly to the motherboard with small pins holding it in place. This makes the DC power jack connections very weak to any stress applied. A sudden sharp pull sideways or tripping on the AC adapter cord while attached to the laptop will usually cause damage. Another instance is if the laptop is accidentally dropped, while the power cord is attached, and it lands directly on the power plug. The force generated by the drop will push the power plug into the jack and damage the laptop DC power jack inside. And then there is DC power jack failure under normal use of your laptop. After a few years constantly inserting the power plug into the laptop DC charging port, it may eventually loosen the pins from the solder. 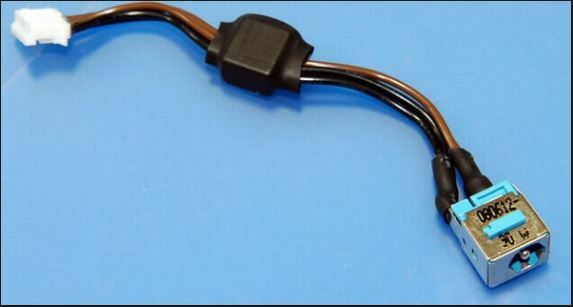 It stands to reason that many computer users bring their laptops in for laptop DC power jack repair service when the laptop no longer powers on or the battery have not been charged. Another type of laptop DC jack power jack is the one connected to the motherboard via a wire harness. This type of DC power jack is the easiest to fix. Remove and replace the power jack and your good to go. No soldering needed. The laptop will not power up using the AC adapter when the battery is removed. The laptop will run on battery power only. You find yourself having to wiggle the power cord to get a charge, or you have to apply pressure to maintain a charge. Excessive play when inserting the AC power connector to the DC jack. Damage around DC power jack opening. Sparks come out of the back of the laptop when you plug in the AC power connector. Any of these symptoms can indicate that your laptop’s DC power jack needs to be replaced as soon as possible. Take immediate action before the problem becomes worse. A worst-case scenario would be damage to the motherboard as a result of a bad laptop DC power jack. This can become costly. If you find yourself confronted with any of the symptoms above, contact PCMechanic Computer Repair in Davenport, FL. for immediate help. Read customer’s testimonials about my computer repair company. Click the button below to get in touch with me.